Come and see the amazing range in our Up to 50% off Home and Garden Spring Sale at Argos. Hey, hot stuff! There's 10% off Hotpoint ovens at Argos right now. Save 20% In The Argos Home Event - Includes 1000s Of Home And Furniture Items! Time for an upgrade? Save up to £100 off TVs, phones, smart watches and more in the Technology Spring Sale at Argos. Make this Easter a cracking one with gifts, cards, decorations and more at Argos. With a range of toys up to 50% off this wide we will be sure to make this the happiest Easter ever at Argos. You will definitively hit cloud 9 with our amazing £20 off discount on selected trampolines at Argos. Find what you love and get it the very next day with next day delivery at Argos. See website for full Ts & Cs. Come and see what we have in our amazing up to 50% off Tu Clothing sale at Argos. A dash cam is great in case of accidents, but the memory card is where the evidence is! Enjoy a free memory card with select dash cam orders at Argos. 25% Off Hatchimals At Argos - Easter Special! Make this Easter eggshellent for less with 25% off Hatchimals at Argos. Up To 60% Off Clearance At Argos! Technology, Home & Garden, Toys and much more! Calling all Master Builders! There is now up to £60 off Lego sets at Argos for a limited time. Take advantage of the extra hour of daylight as well as 25% off select garden power tools and pressure washers at Argos. Get ahead of the spring clean this year with essentials starting from as low as £5.49 at Argos. Get yourself spring-ready for less with up to £40 off health and beauty products at Argos. This discount code expired on 18/04/2019 BST. Enjoy 2 for £15 on a great range of selected toys at Argos. Come and see what special Payday picks we have for you at Argos. Everything is even more awesome with 20% off Lego sets at Argos. Welcome in spring with some new tech at Argos and enjoy up to £80 off. No one likes an added delivery cost at the end of their purchase, that's why at Argos you can get it for free. Whether your going all-out or keeping it small this year there are a massive range of gifts this Mother's Day starting from as low as £5 at Argos. Enjoy 50% off selected Tu Clothing at Argos. See website for full Ts&Cs. Make this year extra special for less with up to 25% off mother's day jewellery at Argos. See website for full Ts & Cs. Enjoy better sound for free with free soundbars on selected TV orders at Argos. This discount code expired on 28/03/2019 BST. Famous around the UK as the catalog store where you can find everything from handy homeware to the latest toys for your tiny tots, Argos is one of the best known stores in the UK with an unrivalled range of goods. With an Argos discount code from us, you can get your hands on any number of products, from phone chargers and speakers to baby clothes, at bargain prices. What’s more, with an Argos card you can double down on your discount and wait until your next paycheck to pay, helping you get all the products you need without compromising on quality. Get the latest deals and discounts delivered straight to your inbox by signing up to Argos’ mailing list. With exclusive offers on electronics, outdoors equipment, children’s toys and more, you can get the whole house sorted at a steal of a price by getting the first look in with Argos’ newsletter. Looking to get that retro feel to your living room? With Argos’ amazing blasts from the past, you can get a record player or retro games console at a steal of a price. With Argos voucher codes from us, you can get a turntable or original Playstation at a bargain price and get nostalgic over your entertainment. How do I use my Argos discount code? Head to the Argos website, once you have copied the code given to you, and add the items you want to your basket. Select ‘view cart’ and scroll to the bottom of the page where you’ll find a box for your promo code. Argos offers free returns using any InPost locker across the country. Just check the online locker locator to find your nearest participating locker and enjoy a full refund for all unopened and unused Argos items. How long does Argos delivery take? Standard delivery is free for all orders over £70 (and otherwise costs £3.99), and takes 2-3 working days to arrive. Next Day Delivery is also available at a cost of £4.99. How can I track my Argos order? You will be able to track any Argos order by heading to the tracking section of the Argos website. Just input your order number, provided in your confirmation email, to see the status of your order. Does Argos offer Click & Collect? Absolutely. 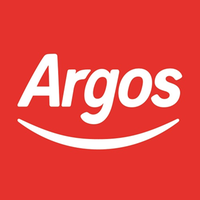 You can choose to collect your Argos item in store at a reduced rate, and save on your delivery fees. Just add the Click & Collect option to your delivery during checkout to make sure you don’t pay for delivery costs.